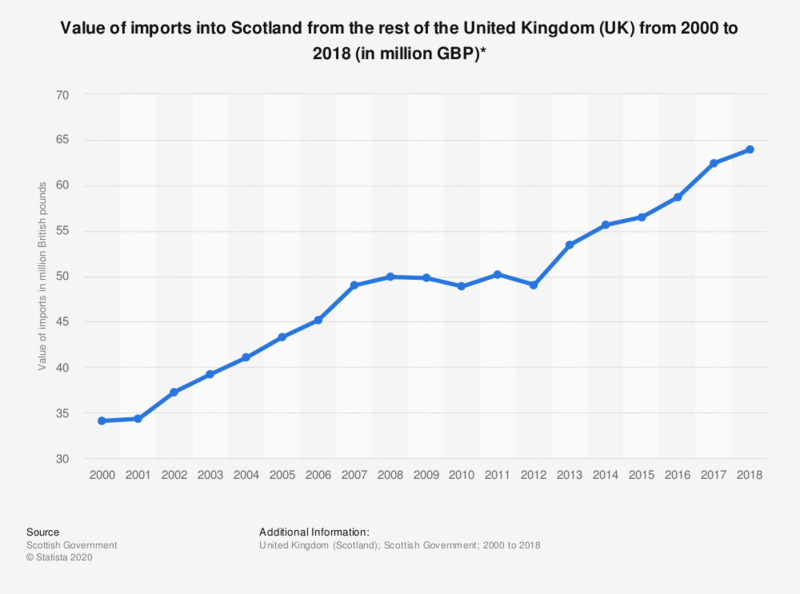 This statistic shows the value of Scottish imports from the rest of the United Kingdom from 2000 to 2017. With the exception of 2001, 2010 and 2014, the value of UK imports has increased from 34.08 million in 2000 to 62.43 million by 2017. Everything On "Scotland (UK)" in One Document: Edited and Divided into Handy Chapters. Including Detailed References.